Only one in ten of the 800 islands (and islets) that make up this nation is inhabited. The main Fiji islands are Viti Levu and Vanua Levu. The city of Suva , on Vitu Levu, is the biggest city in the South Pacific. Forest covers the mountain slopes of the larger islands, which are the tops of volcanoes. Heavy rains enable a variety of crops such as ginger and sugarcane to be grown. The economy relies greatly on sugar and on the tourists who come to enjoy the coral reefs and beaches. Fiji is not just the beach and sea. Nature has been very kind to these islands and every corner is a must to discover. Touring the warm waters of the Rivers Fiji is a good way to spend a half-day. The length of the route is 15 miles. The tour on the Upper Navua River is fantastic, as it leads through rapids and long canyons of inland Fiji. The boat guides are knowledgeable, experienced and trained to deal with tourists -- and they tell stories from their villages, give travel tips, and make jokes as they paddle the boat down the river. Since you will inevitably get wet on this tour, you should not forget to pack a change of clothes. For the relatively long drive on the highway to reach this site, you will be compensated by the impressive landscape that you can get to see only this way, because there is no other public way to the Upper Navua River. Toward the end of the boat trip you can take a shower under the waterfall, which guides call "free massage" -- a nice way of completing your visit. Take your excursion and adventure to Fiji to greater heights by trying out the zip line adventures at ZIP Fiji. Engage yourself in a “flying adventure” to make your holidays a memorable one. Although the Zip Line is rather expensive ($50-115 depending on the course), it's incredibly fun to race through the rain forest while seeing its entire vegetation from up in the air. The adventure is usually done in group of 4 people with two highly trained guides. You can even make a second pass if you want to conquer the fear of heights and get used to being up there in mid-air in whatever zip line position you want to try. Adventure tip: Put on a black T-shirt. The gloves are reddish and could leave marks on your hands and clothing in connection with the humid climate. It’s all pure fun and from this side of the island, flying is more beautiful. 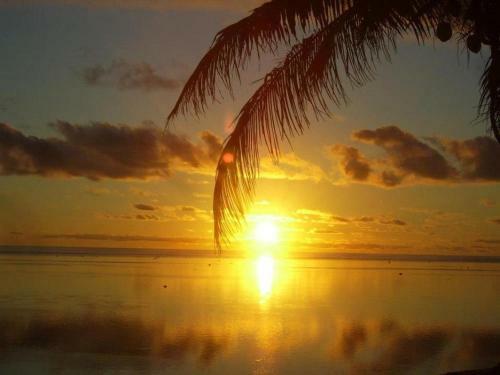 This is a site that is highly recommended for those who want to have a great experience in Fiji. The staff has a very nice team of zip line experts, very knowledgeable, and they work hard to ensure the adventure will be really simple to accomplish. They are really helpful, enthusiastic, and prioritize safety as their topmost concern for every guest. This cultural village -- that has gift shops, a small resort, and live cultural shows -- is an off-the-beaten-path adventure that is worth trying here in Fiji. The Arts Village is a very interesting place for tourists. Upon entrance you get to be welcomed by a group of handsome Fiji men in their tribal costumes, dancing and singing chants in their traditional way. Inside you will find a shopping center, restaurants that serve Kava, a traditional and yummy dish, boating areas, a mock up recreated village with real tribal inhabitants, cafes, and various adventures that can be enjoyed on land or in the water. There are art workshops offered for kindergarten kids where they are taught about how the tribes live and make crafts for a living. Family picnics are also encouraged inside the village, and there are grill areas where you can have freshly grilled meat, seafood, and vegetables. However, a reservation is required to explore the village as well as their boat show and the Fijian dance presentations. You can book in advance on their website to enjoy a pleasant visit. It is great for kids as it is more lively and interactive than a visit in a museum. The Garden of the Sleeping Giant was developed and supported by the late Hollywood actor Richard Burr of the hit TV series “ Perry Mason”. The huge and sprawling garden is very relaxing with lots of different flowers. It is worth going all the way up to the site where more than 2,000 species of orchids are grown and have become part of his huge collection through the years. It is a fascinating, fragrant , and photogenic place filled with lots of species of flowers that are kept shaded by the trees. Tourists are enticed to visit because of the relaxing and fresh ambience the well-tended garden imparts. The entrance fee is fair and affordable. Arm yourself with a good camera when planning a visit. There are markers to show every path and guides that know every piece of information and will share with every interested visitor. It is also an ideal place to contemplate and set your worries aside because of the calming scents and colors of the huge selection of flowers inside this famous garden. Enjoy a pleasurable walk and the guided trails where everything is nicely laid out and well maintained. The free fresh fruit juice at the end of the tour is very refreshing. You need to have a car to reach the Sabeto Hot Springs and Mud Pool, or rent a 4 x 4 vehicle as there is no public transport here. 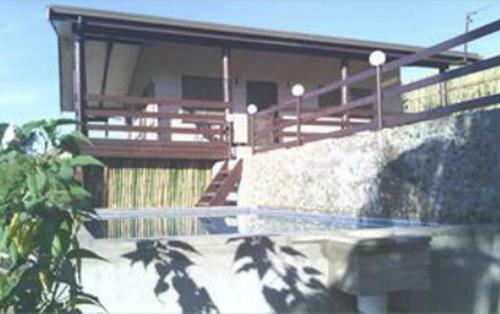 If you are in a rental car take the road towards Lautoka Sabeto Garden and Sleeping Giants; after a few miles of passable road, you will arrive at the site and receive a very warm welcome from the staff and owner of the place. At a price of $15 per person for entrance, the guides, pool use, toilet and shower and other facilities can be enjoyed. A guide will accompany you and explain the rules and procedures. The first pool of hot water is a real treat and you can spend a few seconds just to warm up and rinse off. The source of heat is the natural volcanic mud bath and it is above all enjoyable. All the people who come here are always smiling as they feel the instant effect of their poor joints becoming more flexible. It is in a field with holes and a landscaped course, but this is not a golf course attraction as it seems to most tourists at first impressions, but hot mud pools and natural hot water. It is necessary to roll in the pool of mud and let it dry on your body while you explore the souvenir stands at the site, and once you start to feel the urge to wash, hop in the pool of warm water and rinse off all the mud on your body. Afterwards, you feel a softer, smooth skin and a refreshed feeling from a dip in the pool. Highly recommended also is a 40-minute massage ($40) after the mud pool experience. Go ahead and enjoy these moments of relaxation in a place where the women and children (staff) are very friendly and there is a really pleasant atmosphere. The Robinson Crusoe Island Night Tour is very interesting and provides better knowledge of the history and customs of the people. A whole day to spend here is worth it, as you can learn about their traditional dances and the cultivation of medicinal herbs, and enjoy a typical meal. The Robinson Crusoe Island reproduces that incomparable tropical island atmosphere, where you'll encounter the wonderful Fijian traditions, ethnicity and cuisine. It is a confined Fiji Beach Resort with exceptionally moderate Fiji Island basic accommodation -- without a doubt heaven, complete with a mind-boggling arrangement of various activities for you to appreciate. Enjoy the show as the night wears on -- the phenomenal Fijian fire-and-knife-dance choreography shows, bushel making, chanting and dancing under the moonlight, campfires, and traditional kava-offering ceremonies -- and take in a greater amount of the mind-blowing tribal rules and traits to be observed when in a Fijian feast. And you have not seen all of it yet! You can head off to the sea to enjoy snorkeling and kayak adventures that are all included in the admission fee. You can also take a Jet Ski tour or head to the energizing water park. You're on vacation so you have to get spoiled! Treat yourself to the site’s official wellness center, the Nautilus Spa. Mingle with the locals and figure out how to make coconut jewelry (necklaces, bracelets, and charms,) or learn the tribal dance. Why not cast out a line to catch some great fish? Want to unwind and have a good round of golf with family and friends? Boost your putting skills on the world-class Grand Natadola Golf Course. Whether you want to come and stay or just visit for a day or night tour, there are numerous and affordable choices of adventures to explore. When in the town of Nadi, the Hindu temple called the Sri Siva Subramaniya Swami is worth a visit. It is a beautifully-decorated building with very bright colors, many sculptures, and it cannot be missed even from afar. Entrance is allowed to everyone regardless of religion or denomination for a small fee of around $1.50 (which includes the "right" to take pictures within the grounds). You will be asked to remove your shoes before entering the temple, wear modest clothes, offer a short prayer, and observe complete silence. The opening ceremony for this new temple was held on the 15th of July 1994. The original temple had existed for a long time at this same location. A visit to the local craft market that is near them is also recommended. The market has very nice items at reasonable prices. Take a look at century-old archaeological findings (more than 3500 years old), and peek into the political history and rich cultural past for the last decade by viewing modern art works and handicraft collections of Fiji's people. The Fiji Museum is located in Suva and provides the best way to understand the history and colorful past of this group of islands in the Pacific Ocean. From here, you will learn that Fijians have a mixture of Melanesian and Polynesian background from more than 3000 years ago. Then, about half of the population is descended from people brought from India to work on the British sugarcane plantations in the 1800’s. Europeans explored the islands during the 1600’s and 1700’s. In 1874, Fiji became a British colony. After its independence in 1970, tension grew between Indians and the native Fijians. In 1987, the Indian government was overthrown during a military coup. Civilian government returned, and in 1990, a new constitution ensured that the native Fijians would keep their independence and political power. The Natadola Beach is a beautiful place full of tourists, surrounded by blue water, fine white sand, soft corals, enough trees for shade, tables with umbrellas, lounge chairs, complete beach facilities, water sports adventures, horse-back riding on the beach, and some nice snorkeling reef and deep sea diving points. It has a few resorts there where you can relax and enjoy time with your friends or with family; you can also take tours or just enjoy the hidden paradise. Do not forget to check out this beach if you are in the town of Sigatoko, Fiji. It has been rated as one of the best beaches in the Pacific region. Located near the port, the Denarau Beach is difficult to miss. It stands closer to the expensive hotels and it is a very chic beach where you can enjoy a good swim or just spend time to sunbathe. At the port, it is always possible to have a tasty meal or enjoy a cup of hot brewed coffee in one of the many cafes at the beachfront area. Ferries to the island depart early in the morning and you can have breakfast in the port before embarking to the other nearby islands. The beach is worth a visit while you go to the marina and wait for the gorgeous sunset.